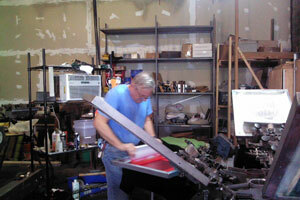 We Pride Ourselves In Our Knowledge Of Custom Screen Printing, Silk Screening, and Embroidery! At ABCK's Enterprises, we have a design team that is waiting to form your image exactly the way you would like it! We take pride in each and every product we create. Located in Webster, TX, our mission is your satisfaction. We’re here to help! In need of a logo or just looking to brush yours up? Not a problem! Get in touch with us today!